C&D Technologies Standby Power Division's Dynasty High Rate Max batteries have been engineered specifically for UPS applications, delivering maximum life while complying with rigorous industry standards. That is why Dynasty High Rate Max series batteries are the choice of many OEM UPS manufacturers and distributors. 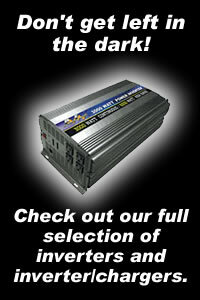 If you are looking for a Dynasty Battery not listed here, please request a quote at sales@xpressbatteries.com. In critical standby power applications, maximum battery life is essential. C&D Technologies Standby Power Division's Dynasty long duration batteries deliver this while complying with rigorous industry standards. Telcordia certified life exceeded 10 years. The true long life battery. Modular design for ease of installation and stacking flexibility. Space saving design for the greatest amount of power in a small footprint. Built for performance reliability and consistency over the life of the product. The versatile Liberty® Series 1000 10-year VRLA product fits virtually anywhere and provides superior performance in the most demanding applications.